For most men, a watch is an extension of their personal style and personality. Some collect watches as a hobby while others are just happy to have a few watches to wear at work, at social events, or as an everyday watch. Whatever the case may be, Watch Gang provides a convenient and affordable service for guys who want to discover new timepieces and build an impressive watch collection. It’s a mystery watch club but members share their preferences of bands and styles to receive something that’s close to their personal taste. Offering three membership levels, Watch Gang sends out high quality watches as a subscription so guys can get a brand new watch on a recurring basis — and at a fraction of retail. It’s a mystery watch club but members share their preferences of bands and styles to receive something that’s close to their personal taste. Watch Gang was awarded the “Best Men’s Box” award by the Subscription Trade Association (SUBTA) at the CUBE Awards in 2018 and has been called out as one of the best subscription boxes for men by Esquire, Forbes, Men’s Health, People.com, and other mainstream publications over the years. Thanks to Watch Gang’s direct partnerships with brands, including Seiko, Citizen, Orient, Swatch, Autodromo, Oris, Boldr, Laco, Vortic and others, Watch Gang members have access to hundreds of watches at a deep discount. Watches are guaranteed to be worth up to 5x what the member pays so they always end up with a great deal. Every watch is also guaranteed to be 100% authentic and comes with a manufacturer’s warranty. 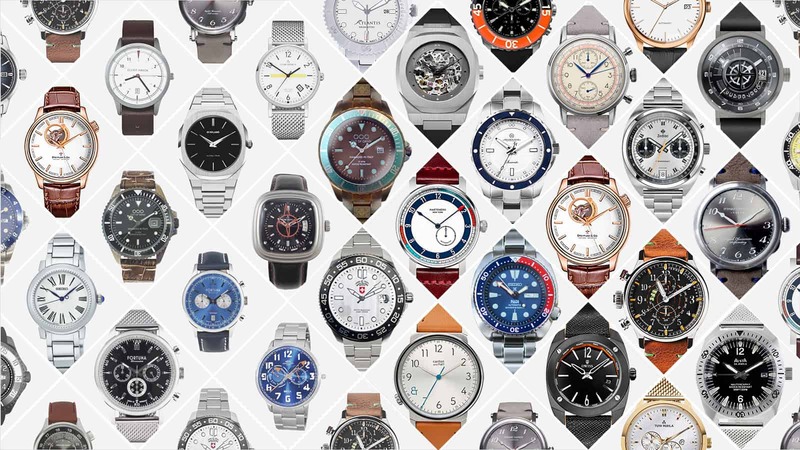 In addition to receiving a new watch with their subscription, members have access to The Wheel of Watches where they can buy watches at an exclusive discount. On The Wheel, you get to choose watches you want with the chance of getting something even better — including a Rolex or other grail watch. Watch Gang has a dedicated distribution team that seeks out new brand partners and CEO and Founder of Watch Gang, Matthew Gallagher, personally attends Baselworld every year to meet with watchmakers and brand executives in person. This past year, Watch Gang started a new brand partnership with Seiko USA and now gives away a new Seiko to one lucky member every Saturday. All members with a paid subscription are automatically entered for the chance to win a Rolex and TAG Heuer every week. The Friday Rolex Giveaways started in the early days after the CEO started giving away a Rolex every day leading up to Christmas. Why a Rolex? Matt’s father passed away a few years ago and left Matt with a gift — a vintage Rolex. TAG Tuesday giveaways launched about six months after the Friday Rolex giveaway in the spirit of giving away another ‘grail’ watch — a watch that many watch lovers aspire to having on their wrist one day — to a lucky member in another random drawing every week. Watch Gang In addition to getting a new watch every month, mmembers get access to a private online community, ‘The Watch Gang Exchange’. where they can interact with other members and share watch tips. Thise Watch Gang Exchange is a private Facebook Group now has morewith more than 30,000 members and is one of the most active watch groups online. It’s becomeThis is the place to share photos of watches but also to buy, sell, and trade watches with other watch enthusiasts.members. The community has become a big part of the Watch Gang experience for many and has created a sense of camaraderie among fellow watch lovers. Random acts of kindness, support, and encouragement are common threads here. Members have donated watches to others within this group as an act of generosity. Others have banded together to donate money for a good cause when a member was in need. When Memorial Day and Veterans Day roll around, some members run their own giveaway to send one of their watches to a veteran. Watch Gang is paving the way for watch enthusiasts who want access to a wide selection of high-quality, authentic watches, at the lowest prices on the market. Instead of going to the mall or spending hours shopping for the best prices on watches online, members can get a brand new watch at a deep discount shipped right to their door. A spokesperson for Seiko described Watch Gang as, “The most revolutionary thing to happen to the watch industry in 25 years.” Watch Gang releases new watches every month so there’s something for everyone — from sport diver watches to dressy watches — and makes them available at negotiated prices to provide members with an incredible deal.